Has one of your old dental fillings come loose? Are you fighting a toothache? Do you feel pain from a cavity? Come to Carolina Dental Arts — we provide a number of restorative dentistry treatments, including tooth-colored fillings in Glenwood South, Raleigh, NC, Goldsboro and our locations across North Carolina. At Carolina Dental Arts, our goal is to provide you with a comfortable, positive experience from the moment you walk in the door to after your procedure is completed. Our highly trained dentists can easily provide a pain-free composite filling in NC to fight the cavity or other dental problem you are suffering from. When part of your tooth has been damaged or decayed, you can trust our experienced dentists to know what to do. 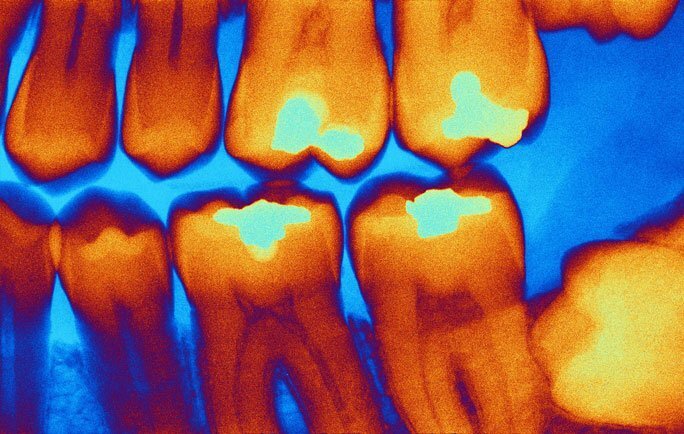 We understand that tooth decay weakens your tooth enamel, causing tooth sensitivity and pain to occur. Fillings are effective in fighting this enamel loss and can protect your smile by slowing down or eliminating tooth decay that starts inside the tooth. With the help of our composite fillings, we can restore your tooth enamel back to optimal health. We offer several kind of fillings in NC that provide improved function and aesthetics. Our white tooth fillings mimic the appearance and color of your natural teeth and can even improve these features by bonding with the filling. Our staff will be glad to discuss your options with you, so that you can receive the white tooth filling you need at an affordable cost. White dental fillings can also be used to repair chipped teeth, close gaps between teeth and make teeth appear even and straight. If you want to avoid or replace an unsightly metal filling in your mouth, talk to our dentists about composite fillings. Get Rid of Painful Cavities in NC Today! When it comes to getting rid of cavities and other dental problems, you can trust Carolina Dental Arts to have your best dental health in mind. We always check for cavities during dental exams, as well as confirm that any previous fillings are still working as they should. If you are wondering whether or not you need a dental filling in NC, contact us today, and we will gladly answer your questions.